Carr Miller Capital LLC and its three principals are facing allegations of consumer fraud regarding the Carr Miller Capital Ponzi scheme and violations of numerous New Jersey Uniform Securities Laws by committing securities fraud, commingling funds and selling unregistered securities. 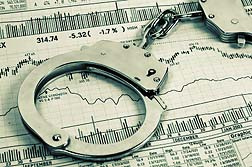 It is believed that investors may have been defrauded of as much as $40 million in a Carr Miller Ponzi scheme. Send your Carr Miller Capital Ponzi Scheme claim to a lawyer who will review your claim at NO COST or obligation. The New Jersey securities regulators and the New Jersey attorney general have filed a lawsuit against Carr Miller Capital LLC of Marlton, New Jersey, for allegedly running a Ponzi Scheme. Included in the lawsuit are Carr Miller's principals, Everett Charles Ford Miller, Brian P. Carr and Ryan J. Carr. According to the lawsuit, the defendants violated securities laws, committed securities fraud and sold unregistered securities. An investigation by the New Jersey State Bureau of Securities has revealed that Carr Miller Capital sold approximately $40 million of promissory notes to investors, who came from New Jersey, Texas, Arkansas and North Carolina. Those notes were issued for a nine-month term at interest rates of between 10 and 15 percent annually. At the end of the nine-month term, investors were told they could renew or be paid out. Investors who received interest payments—totaling around $8 million—actually received money obtained from new investors rather than money obtained through legitimate investments. According to the lawsuit, the Carr Miller Capital notes were not registered for sale in New Jersey. The Carr Miller lawsuit further alleges that the defendants falsely represented to investors which funds their money would be invested in, did not provide investors with material information about the investments and often paid investors late before finally ceasing all payments. The investigation further revealed that $13.5 million of Carr Miller investors' funds were used to pay for the defendant's personal purchases, including automobile purchases, a New Jersey Devils sky box at the Prudential Center in Newark, retail purchases and meals, travel and luxury vacations, among other things. A further $16 million was placed into other investment vehicles including hedge funds, real estate ventures, film production companies, and an oil and gas venture. These ventures were allegedly not authorized by or disclosed to investors. The Bureau of Securities has revoked the Investment Advisor registrations and exemptions of Carr Miller Capital, Capital Markets Advisory LLC, Miller, and Ryan J. Carr, and Brian P. Carr, barring them from the state's securities industry. Additionally, assets held by Everett Charles Ford Miller, and his related companies have been frozen by court order, with a receiver appointed to oversee control of the assets. A Ponzi Scheme is a form of consumer fraud in which previous (or existing) investors are paid out with money invested by newer clients rather than money that was actually obtained through proper investing strategies. Often, investors' money is used to fund the financial advisor's lavish lifestyle. The Ponzi scheme usually collapses when there are no new investors to pay out existing investors. 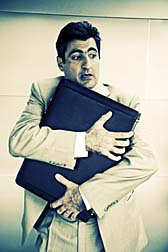 In the case of the Carr Miller Capital Ponzi scheme, the consumer fraud reportedly came to light when investors tried to cash out only to find there were no funds available. Office Faux Pas: Greg Invested in Carr-Miller, now what? Carr Miller Ponzi Scheme: What Should Investo.. Defendant in Alleged Carr Miller Capital Ponz..
Investors Lose Millions in Alleged Carr Mille..
What If Your Investment Disappears?